The boxer's great victory over James J. Braddock took place on June 22nd, 1937. Joseph Louis Barrow was born in Alabama in 1914. In 1926 the family moved to Detroit and the boy began boxing as an amateur. He dropped the surname Barrow, apparently to prevent his mother finding out, though when she did she encouraged him. Her son, now Joe Louis (pronounced Lewis), turned professional in 1934. He had attracted the attention of a black Detroit bookmaker called John Roxborough and a black boxing promoter, Julian Black. They fashioned a good public relations image for him as a modest, clean-living young man, in deliberate contrast with the earlier black heavyweight champion Jack Johnson. Among their rules were never to fix a fight and never to be photographed alone with a white woman. The fact that their protégé was a thoroughly decent young man was a help and the fact that he had a devastating punch was another. Joe Louis fought his way rapidly up the heavyweight ranks, despite an unexpected defeat by the German champion Max Schmeling in 1936. 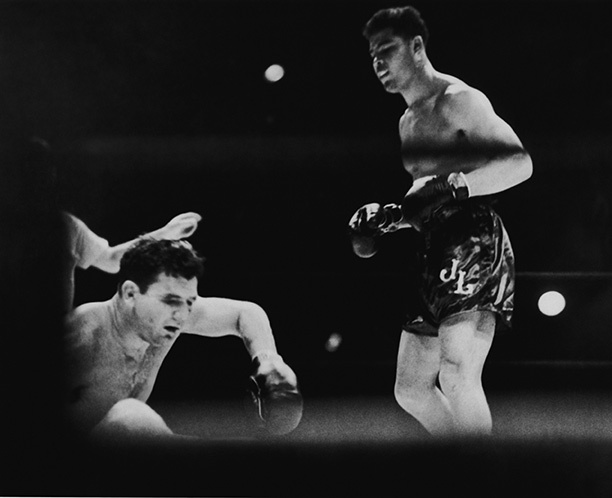 Even so, he was the leading contender for the world title, his backers whipped up anti-Nazi sentiment against Schmeling and a title fight was organised against the white reigning champion James J. Braddock. It was held at night in the baseball stadium at Comiskey Park in Chicago before a crowd of more than 45,000. Braddock knocked Louis down in the first round, but by the seventh round Braddock was clearly tiring, with a cut over his left eye and a split lip, and Louis knocked him out in the eighth. Malcolm X called the victory ‘the greatest celebration of race pride’ in his generation’s time. Louis resigned his title in 1949. In his last years he suffered money and mental health problems, ending up as a greeter at Caesar’s Palace in Las Vegas until his death aged 66 in 1981. He had earned huge esteem among both blacks and whites in America and made an important contribution to the gradual easing of racial tensions in the United States.